The rush to rezone fuels speculative land inflation that’s further exacerbated by unregulated foreign capital flows. 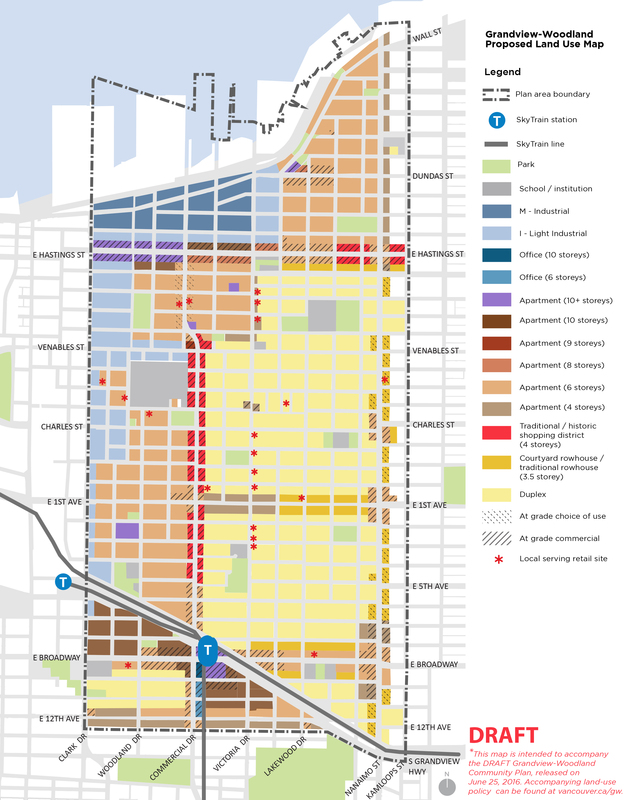 The fact that the City of Vancouver already has ample zoned capacity for 20 to 30 years of growth needs to be considered before proceeding down this road. Governments are reluctant to address the real causes of unaffordability, such as foreign capital flowing into real estate and selling citizenship through Quebec’s foreign investor program, whose investors land in Vancouver. These factors are disconnecting residential prices from the local economy. Instead, the government points to simple supply-and-demand economics, even though that is no longer working. Industries that promote the status quo are primary contributors to campaign funding that elected political parties rely on. Increasing zoning to allow more housing supply will not make prices drop when the demand side is coming from outside of our local economy. Vancouver’s crazy real estate is being driven by land inflation leading to unaffordability in existing and new developments. The so-called antidote of increasing housing supply through rezoning is increasing land value speculation and making the situation worse. New rental apartment developments have higher rents and are a fraction of the size of existing affordable units. New houses are usually twice as expensive. Some rezoning may be appropriate. But what currently exists should first be carefully considered, while balancing the gains or losses if an area is rezoned and whether rezoning is worth it. The regional growth strategy (RGS) estimates that the City of Vancouver’s population will increase by 148,000 from 2011 to 2041. Emphasis is on the “over” 20 years, which could easily be over 30 years. The estimate is mostly for recent multi-family zoning. It did not consider the 70,000 “single-family” lots that are allowed three units, RT (two-family dwelling) duplex/infill zones or substantial rezonings since the 2014 report was released. With so much zoned capacity it makes no sense to rezone affordable neighbourhoods like Grandview (The Drive), which has so many affordable rentals, co-ops, social housing and multi-suited heritage houses. The 250-page Grandview community plan is scheduled to go to council for approval by the end of July, which is only four weeks after its release. The plan proposes increasing heights and densities across the neighbourhood. At the community-packed Grandview-Woodland Area Council (GWAC) meeting on July 11, many concerns were raised. Long-term renters were in tears over the potential redevelopment of their homes. Vancouver-Hastings MLA Shane Simpson said passing the plan needs to be a delayed until mid-fall. Others said any delay needed to ensure that further community input was reflected in a revised community-supported plan. Adriane Carr, the lone Vancouver City councillor who attended, said a delay might be possible if the community requests it. Based on community input, GWAC does not support the plan and is calling for a delay of approval until at least November to address outstanding concerns. The priorities should be incentives for retention and adaptive reuse of existing heritage and character buildings. As heritage advocate Michael Kluckner said, “You don’t build affordable housing, you retain it.” This is an important principle that should be applied across the city. And be warned, the city is working on its cookie-cutter zonings to continue carving up the rest of Vancouver, with Kitsilano and the West Side up next. Elizabeth Murphy (info@elizabethmurphy.ca) is a private sector project manager and was formerly a property development officer for the City of Vancouver’s housing & properties department and for BC Housing. City of Vancouver consultants confirm that the “City has sufficient capacity in existing zoning and approved community plans to accommodate over 20 years of supply at the recent pace of residential development.” So there is no justification to rush through approval by the end of July for the Grandview Community Plan, only four weeks after release. Proposed increased heights and density affect the whole neighbourhood. This entry was posted in Business in Vancouver, Elizabeth Murphy and tagged Affordable Housing, Community Plans, Elizabeth Murphy, Heritage, Regional Growth Strategy, Transit, Vancouver. Bookmark the permalink.